Origin South America and also cultivated in China, India and Southeast Asia. Mung beans which are also known as Green Gram, Golden Gram and Chinese Mung Bean, are a species of legume which is widely consumed in the world. As they are easy to cultivate, it is very useful for the health. They are produced in greatest numbers in China, India and Southeast Asia but they are actually native to South America. 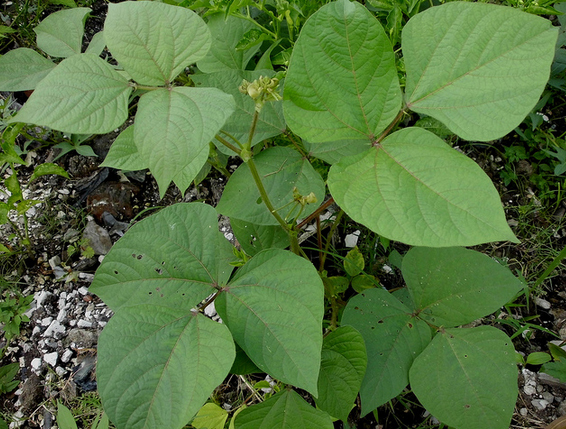 Their scientific name is Vigna radiate, and they are classified as legumes. It was domesticated before 1500 BC in India. 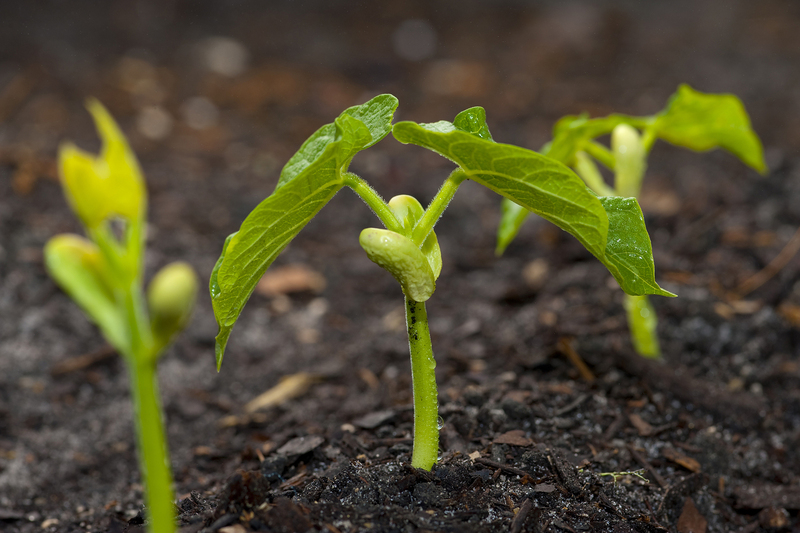 Mung beans grow on sandy loam soils and prefer tropical, sub-tropical and warm temperate climates. 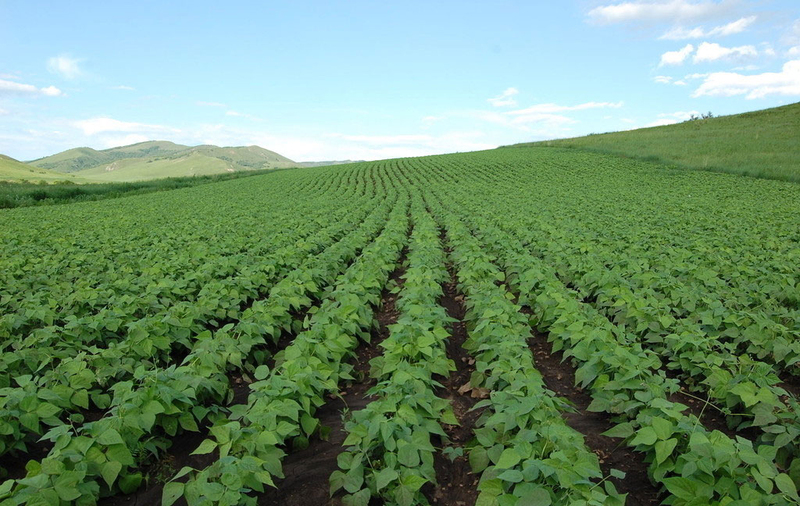 Although most of the Mung beans are green, there are also rare varieties of yellow, greenish yellow, brown and black. Mung beans have become quite popular in the recent decades due to its high content of protein. It is an excellent source of protein for vegetarians. Mung beans are native to South America. As early as 1500 BC, Mung beans were domesticated in India before it spread throughout Asia and then United States. The Mung bean was grown in India for centuries. It is also grown in South America, US, Africa, Australia and Asia. The plant is erect or sub-erect, creeping or twining annual herb which grows upto 30–90 cm high. As a member of the legume family, Mung beans produce yellow flowers and are followed by long and cylindrical pods. Plants have trifoliate alternate leaves with elliptical-ovate leaflets. The leaves can grow upto 5-18 cm long and 3-15 cm broad. 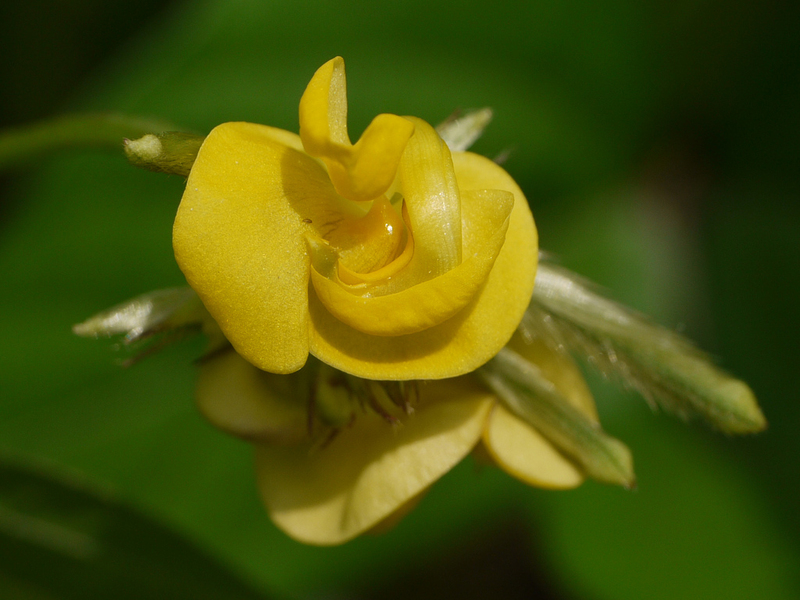 The yellow flowers develop into pendant, linear-cylindric pods of 4–12 cm long and 4–6 mm broad. The pods are black, brown and pale gray in colour. 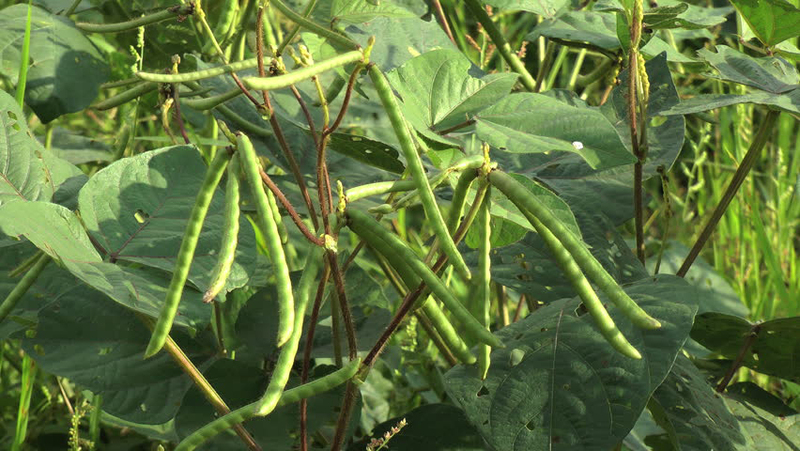 Each pod contains small subglobose or ellipsoid shaped beans. The seeds are ellipsoid upto 4–6 mm long, range widely in colors such as yellow, greenish yellow, light green, dark green, shiny green, dull green, brown, black and green often mottled with black. The seeds have got lustrous and unpolished dark green skin with light yellow flesh. The seed flavors sweet and savory. The plant has branched, weak, trailing and climbing stem of 5 m to 3 m long. The plant has deep rooted system with nitrogen fixing nodules. The season of the fruit and seeds is from summer to fall. Mung Beans could be consumed cooked or sprouted. It is also served as a main dish, soup, stew or dessert. They could be consumed whole or made as flour, snacks, porridge, bread, soups, noodles and ice-cream. Split seeds can be prepared as dhal same as lentils or black gram. Mung beans could be processed as starch noodles. The extract of starch from Mung beans is used to make jellies. Excessive intake of Mung beans results in cold extremities, abdominal pain, fatigue, diarrhea, cold pain in legs, lower back, digestive diseases and chronic gastritis. The excessive consumption of Mung beans by the yin deficiency patients will experience swollen gums, perleche, etc. Children, pregnant women, elders and those who have weak immune system should avoid raw sprouts. Mung beans possess enzymes, nutrients and antioxidants which are essential for maintaining good health. The presence of medicinal properties in the Mung beans assists to enhance the health. It is good for the health of eyes, hair, nails and liver. It also enhances the blood circulation. It is loaded with high amount of fiber and low in calories. Mung beans are used in traditional Chinese medicine for the therapeutic uses such as to detoxify body and eliminate heat. The study which was published on the Journal of Human and Experimental Toxicology shows that Mung beans have the ability to reduce bad cholesterol levels. It assists to regulate the level of cholesterol as its antioxidants eliminates free radicals, repairs the damage of blood vessels and reduce inflammation. Strokes and heart attacks are the cause of oxidized LDL cholesterols. Mung beans help to clear arteries and enhance circulation. The nutrition found in Mung beans has the ability to counteract cardiovascular diseases and high blood pressure. The study which was published in the Chemistry Central Journal shows that the extracts of Mung bean lower the level of systolic blood pressure in rats. The researcher’s reports that the anti-hypertensive effects of Mung beans lower the constricting of blood vessels that leads to raise the blood pressure. Mung beans possess high amount of polyphenols and oligosaccharides that assist to eliminate the development of cancer. The clinical studies show that it possesses anti-tumor properties which prevent DNA damage and mutation of dangerous cells. The study which was conducted by the College of Food Science and Nutritional Engineering at the China Agricultural University reports that the antioxidants found in Mung beans possess the free radical scavenging abilities. The flavonoids such as vitexin and isovitexin reduce the oxidative stress that leads to form cancer. The evidence shows that the nutrition found in Mung beans possess an anti-diabetic effect which helps to treat the type 2 diabetes. The study conducted by The Institute of Crop Sciences shows that when the Mung bean supplement was provided to the rats, their blood glucose, glucagon, plasma C-peptide, triglyceride level and total cholesterol was decreased but at the same time their glucose tolerance was improved with the rise in insulin responsiveness. Mung bean seeds possess the nutrients such as isoleucine, leucine and valine which make it an effective choice for vegetarians. According to the Department of Chemistry at the Harbin Institute of Technology, the Mung beans possess 20 to 24 percentages of amino acids. Albumin and Globulin makes about 85 percent of the total amino acids which are found in the Mung beans. The phytonutrients found in Mung beans acts as an anti-inflammatory and anti-microbia which assists to enhance immunity and counteract the harmful bacteria, colds, viruses, irritation, rashes etc. Mung beans enhance the absorption of nutrients as well as immune defense. Folate is essential for the DNA synthesis, tissue and cell growth, cognitive function, balance hormones and reproduction. The adequate consumption of folate is vital during pregnancy which helps to prevent neural tube defects, prevent early births and termination. Mung beans are low in magnesium which is essential for the proper functions of heart, digestive health, release neurotransmitter and repair muscle tissues. 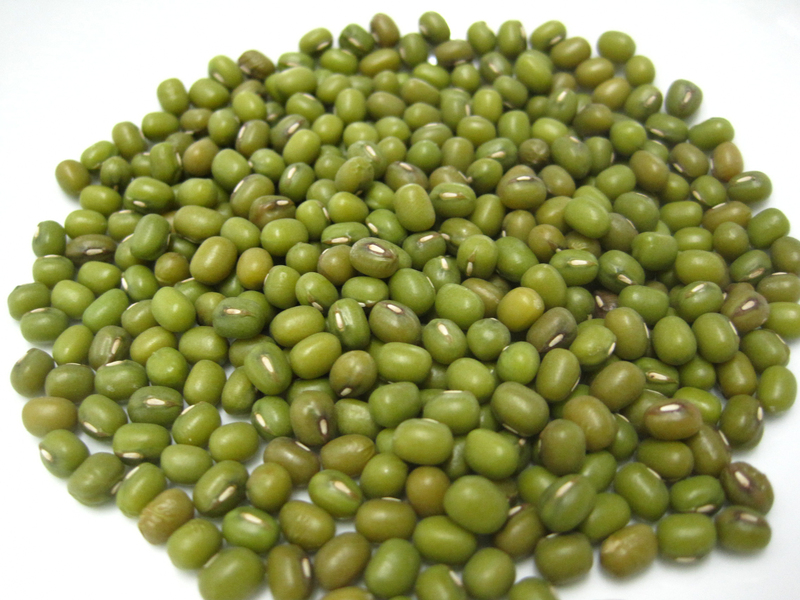 Mung beans possess high amount of protein and fiber. The researcher reports that the beans which are high in fiber increase the cholecystokinin which is a satiety hormone. The other studies show that the consumption of beans increases the satiety. The daily intake of Mung beans lowers the food intake which enhances weight loss. Mung beans are easy to digest and also help to detoxify the body. As they are rich in fiber, it assists in digestion and prevents the IBS symptoms such as constipation. In India, Mung beans are cooked with turmeric, coriander, cumin and ginger which help to add taste as well as eliminate the stomach pains. 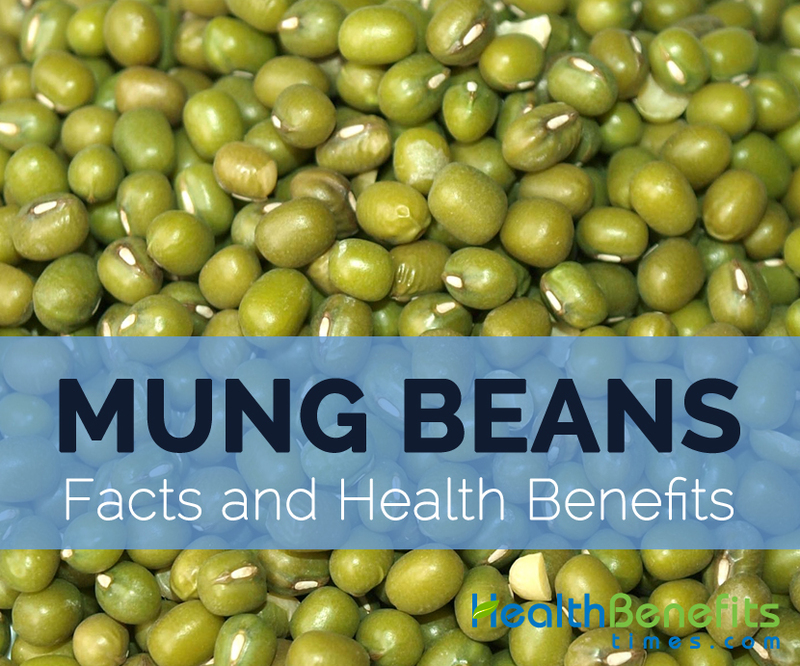 Mung beans possess nutrients, vitamins, including dietary fiber with large amount of copper. In terms of vitamins, Mung beans contain Vitamin K, B2, B9, B3, B5, B1 and B6. As for minerals, Mung beans contain significant amounts of copper, iron, manganese, zinc, phosphorus, magnesium, potassium, calcium and sodium. It is also a good source of antioxidants such as selenium, Vitamin C, E, A and Beta carotene. Calories 26 Kcal. Calories from Fat 0.99 Kcal. Mung bean is the most popular crops of the world. It is widely cultivated in India and other Asian countries. It is consumed in the form of dry seed or sprouts. It is loaded with high amount of Vitamin A, B, C, E and low amount of carbohydrates. Native South America and also cultivated in China, India and Southeast Asia. 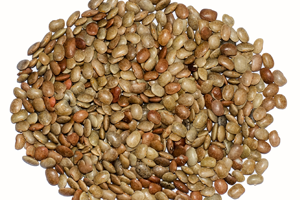 Mung bean seeds are eaten whole as bean sprouts or as flour. The seeds are eaten fresh or cooked. The young leaves and immature pods are consumed as a vegetable. Calories in 1cup (124 gm) 26 Kcal. The decoction of seeds is used in the Philippines for the use of maturative poultices. In India, the roots used as an aid for aching bones. In India, the seeds are used internally and externally, to treat rheumatism, paralysis and affection of nervous system. They are used to treat fevers, piles, liver affections and coughs. The poultice is used for lowering distension of mammary glands. The seeds are used in Indo-China as a diuretic. The sprouts are believed to possess anticancer qualities. The Oriental herbalists use it to treat inflammatory conditions such as heat stroke and hypertension. Mung bean is used as antihypertensive, antipyretic, nutritive tonic and antidote to toxic poisonings. Vigna radiata var. dublobata (Roxb.) Verdc.